Scale model of the Soviet Sputnik 2 spacecraft. 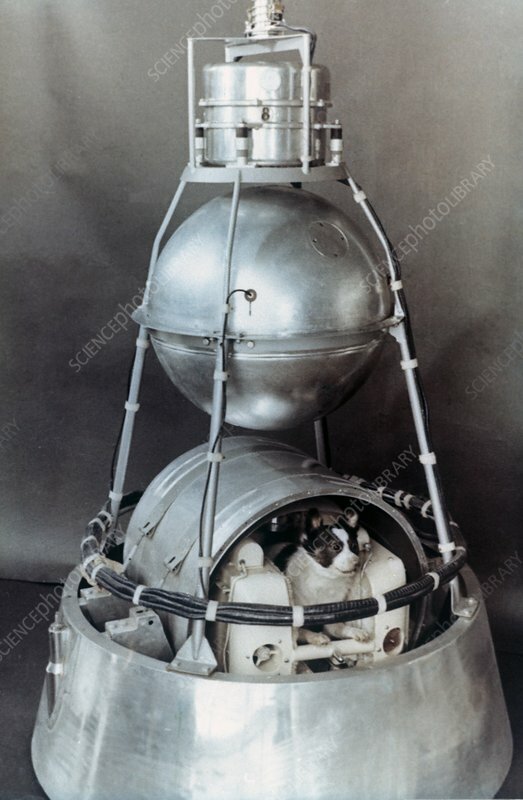 Sputnik 2 was the second spacecraft to be launched into Earth orbit and the first to carry a living mammal: a dog, named Laika. The mission's aim was to examine the effects of space flight on mammals. Launched on the 3rd of November 1957, Sputnik 2 re-entered Earth's atmosphere on the 14th of April 1958. Laika only survived a few hours because of heat and stress.